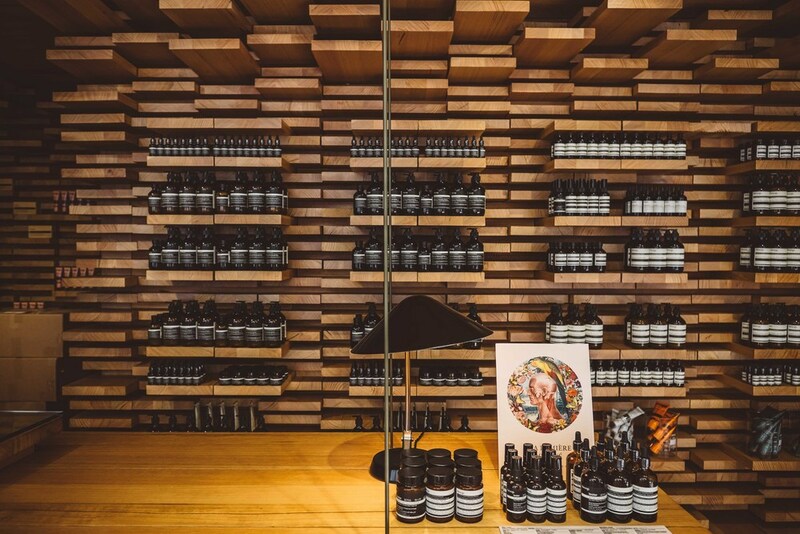 If there's one brand that makes us proud to call Australia home, it's Aesop. 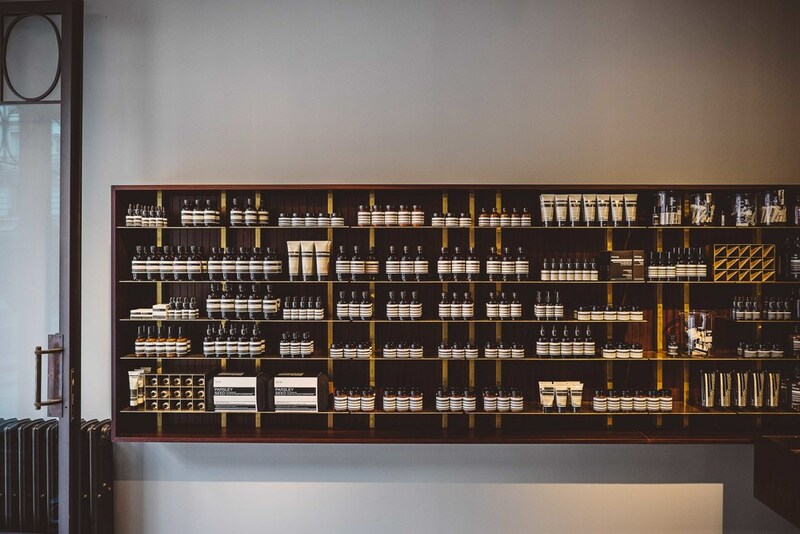 Now, full disclosure: our bathroom cabinet is a sea of their signature beige, brown and black colour scheme so we might be a little biased, but there's no doubting that Aesop is a powerful ambassador for Australia on the world stage. 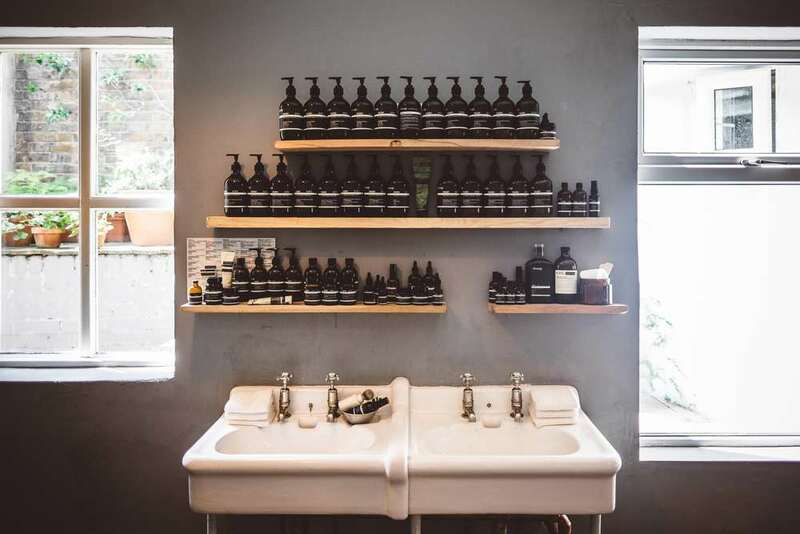 The Melbourne-based brand is revered for its understated sophistication while the utilitarian packaging of its extensive range of skin, hair, body, and increasingly homeware, products extends the brand's appeal to discerning adults of both sexes. 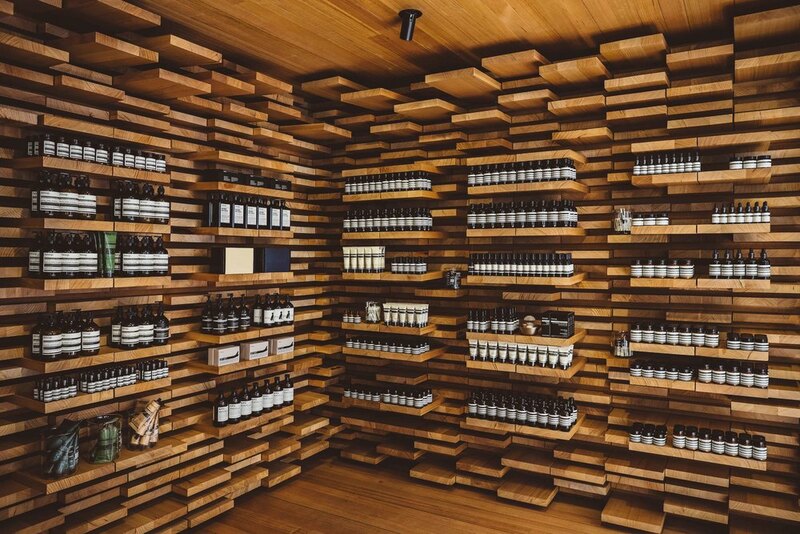 What really makes Aesop stand out as an innovator, however, is its retail design strategy. Every store is completely unique and conceptualised by leading design teams and architects, who often incorporate elements of the store's environment. The result is a network of retail art installations that make each store a destination in its own right. When we're at home in Sydney it's easy to take these little retail gems for granted, but when we travel overseas the appeal of checking out local Aesop stores goes through the roof and they always rank high on our lists of places to visit and photograph. While the interiors and accents may differ, the consistent range of products and friendly, knowledgeable staff make each store feel homely, and when asked if we're familiar with the brand it's always pleasurable to reply "Of course, we're from Australia!". We also love the other little touches that make Aesop stand out from the crowd, such as the moisturising stations placed outside many of the stores for passers by to indulge in, and the free samples with every purchase which are perfect for taking onboard a long haul flight home. Now here's a thought: if Qantas stocked Aesop amenity kits, how would that be for a killer Aussie partnership? 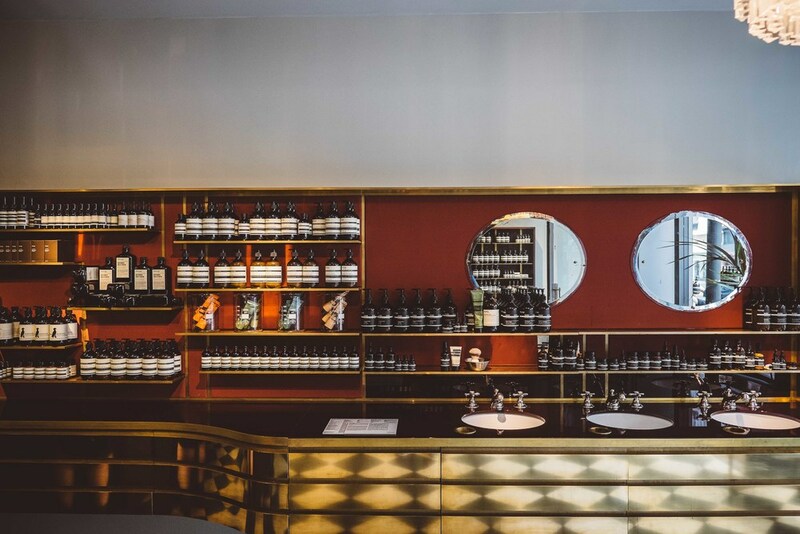 Aesop's store on rue Saint-Honoré, Paris is located in an eighteenth century building. The interior, inspired by the parquetry flooring seen throughout Paris, consists of around 3,500 pieces of hand-cut, hand-sealed Victorian Ash from Australia. 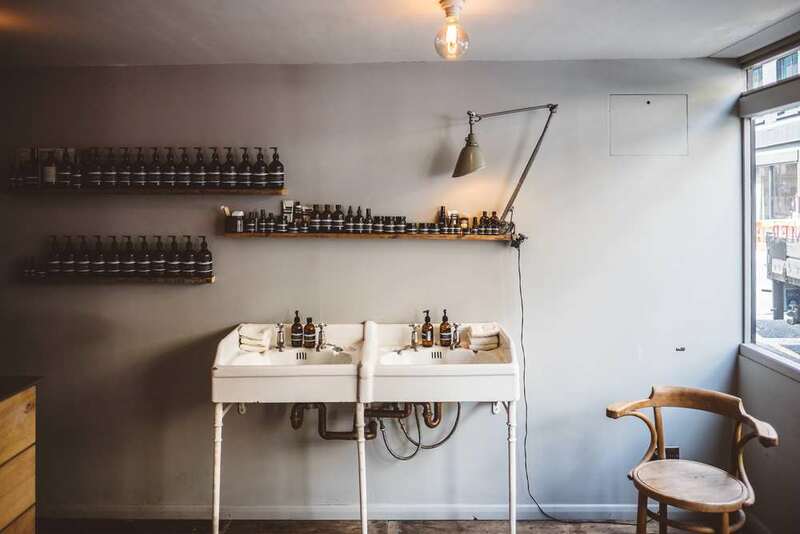 Aesop's store in Saint-Sulpice, Paris aims to reflect the elegant neighborhood's history and culture through the use of opulent materials such as the bronze vanity with vintage mirrors, pink velvet walls and marble chessboard floor. 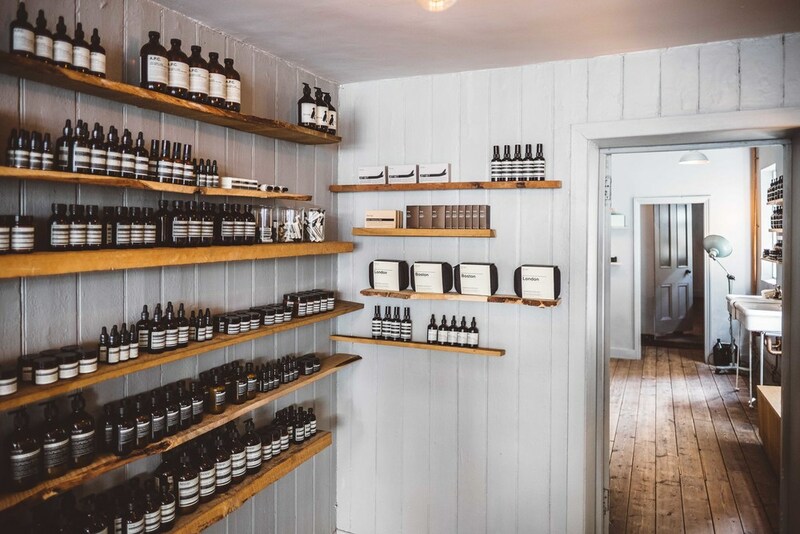 The location of Aesop's homely store in Shoreditch, London was selected simply to ensure easy access to two of their favourite eateries, Rochelle’s Canteen and Leila’s, and coffee outlet Present. However, with a large number of artists in the area the store happily plays hosts to installations by the likes of ceramic designers Hidekazu and Kaori Sogabe of Studio Potapota, and London furniture designer Gareth Neal. 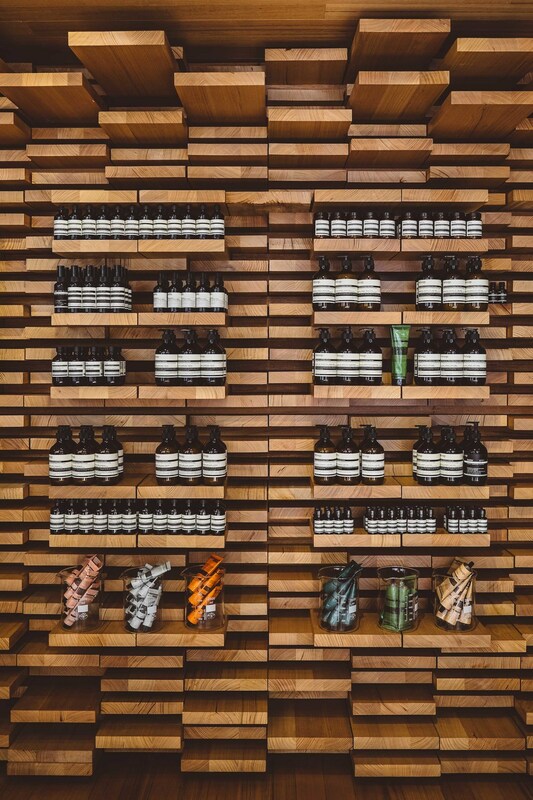 Aesop's first Norwegian store in Prinsengate, Oslo was also their 100th. Original materials and surfaces dating back to the 1800s combine with modern features such as the ceiling of inverted domes that creates a network of echo chambers. The store's centrepiece is the large sink whose brass taps contrast with the predominantly monochromatic palette.